James Warren arrived in the area in 1804 with his wife Melinda (Beach) and three-year-old son, Nelson. The Warren and Beach families were relatively close, since James' brother, Nehemiah, married Melinda's sister Elizabeth, and Melinda's brother Miles married James' sister, Cynthia. James purchased a tavern from Jasper Duell, and named it the Warren House. He also kept a store that was later owned by James Herrick. At a site on the Schroon River, just about where George Henry's is, he operated an ashery, or potash factory. On April 28, 1812, he and his son Nelson were returning from Thurman with election ballot boxes, crossing the Hudson River near what is now known as Thurman Station. The boat capsized and both ended up in the river. Nelson survived but his father drowned. The following year at a meeting hosted by Melinda, the town of Warrensburg was incorporated. It is uncertain if the town was named for James Warren or Dr. Joseph Warren, for whom Warren County is named. Nelson J. Warren was just 3 years old when he and his parents, James and Melinda (Beach) Warren arrived here from Dutchess County, NY in 1804. In 1812, when Nelson was ten years old his father drowned in the rushing spring waters of the Hudson River while trying to save his son. Nelson learned quickly, helping his mother carry on the family businesses. He accumulated considerable wealth and properties, including sawmills, as he prospered. In 1825, he purchased the gristmill from Dudley Farlin, who had purchased it from Harmon Hoffman, the builder. In 1860 he sold it to Burhans & Gray. He was civic-minded just as his father and interested in the town. He was Town Supervisor in 1844, 1846, 1850 and 1856 and Postmaster from 1822-1841. He lived in a house on Main Street after the death of his mother in 1863. He never married. He died in 1886 at age 85. 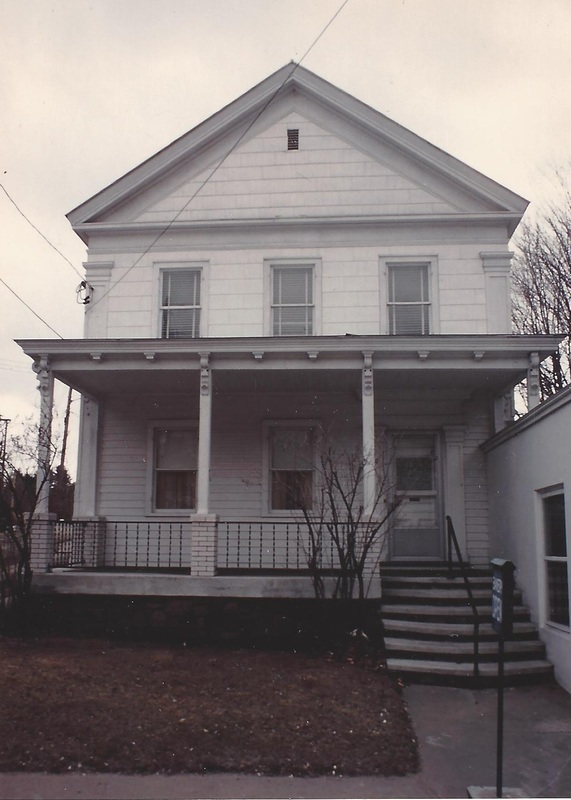 Bluebird Bakery - William Dorner came to Warrensburg in 1944 after selling two bakeries in New Jersey, and bought the house at 3753 Main Street. After serving in the war, he returned to Warrensburg and worked for the Beverwick Company. He opened the Bluebird Bakery in his house in 1947. In 1951 he baked a cake to honor the return of General Douglas MacArthur from Korea. 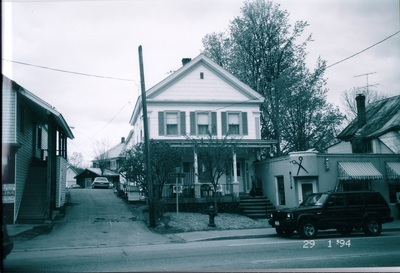 A year later, he and Tom Harrington erected a building right at the sidewalk, attached to the side of the house. He stayed there until 1973 when he sold the business to Erwin Bretzel. In 1983, Brian Lace and Gail Bruce purchased the business and in 1988, they moved the business to Hudson Street. The location now houses a beauty parlor.